Do you know a high school senior or college student who would rather wear goggles in a lab than in a pool? Then a summer of science may be right up their alley. The Oklahoma Medical Research Foundation is accepting applications for its 2017 Sir Alexander Fleming Scholar Program. The application deadline is Feb. 1. 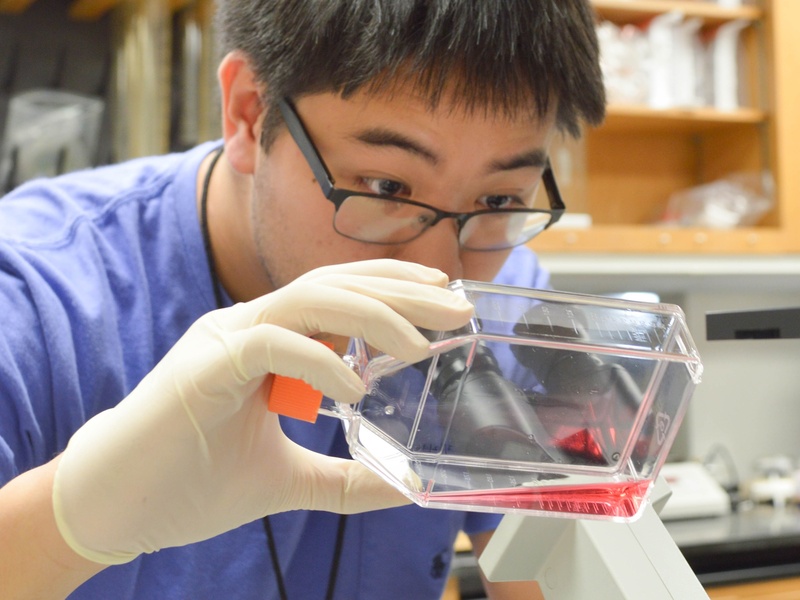 The annual summer program allows the top science students in the state to enhance their research skills by gaining hands-on experience in a lab setting alongside world-class scientists for eight weeks. The application process is completed online at www.omrf.org/fleming and includes submission of a long-form essay, letters of recommendation and academic transcripts. Since the inception of the program in 1956, more than 500 Oklahoma students have had the opportunity to work in state-of-the-art labs at OMRF. Two current OMRF program chairs, Rodger McEver, M.D., and Judith James, M.D., Ph.D., started their research careers as Fleming Scholars.